Harbor City International is making headlines! See what the world is saying about HCIS. Be sure to check out the latest issue of our school newspaper, The Vibe. Interested in keeping up-to-date on HCIS happenings? Look no further! Here you’ll find the latest details about everything from school events to recognitions and volunteer opportunities. 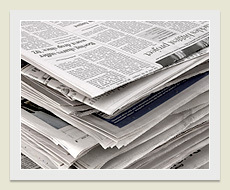 You’ll also find informative articles with tips and suggestions on how to make the most of the educational experience. We encourage you to bookmark this page and check back often so you don’t miss a thing! All students deserve to receive a quality education in a safe, supportive environment. High academic and behavioral expectations are essential to a college-preparatory education. Students thrive in an atmosphere in which teachers and staff are invested in the academic and personal growth of every student. Family support and parental involvement are critical components of the education equation. A strong educational community benefits students and their families. 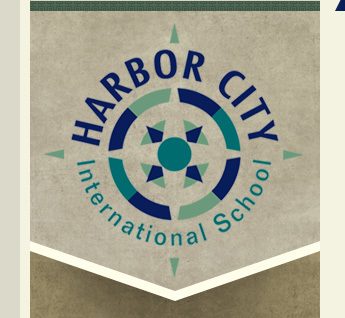 If your educational values align with ours, we would love to talk with you about the possibility of enrolling your son or daughter at Harbor City International School. Contact Dawn Buck, enrollment coordinator, at (218) 722-7574 ext. 225 to check on enrollment opportunities for fall of 2019, and see our 2019-2020 application form for more information. Please contact Executive Director Tim Tydlacka via email or phone at (218) 722.7574 ext. 307 with questions. What would you do if you had all eternity? Eleven-year-old Winnie Foster yearns for a life of adventure beyond her white picket fence, but not until she unexpectedly finds herself entwined with the Tuck family does she get more than she could have imagined. When Winnie learns of the magic behind the Tuck’s unending youth, she must fight to protect their secret from those who would do anything for a chance at eternal life. As her adventure unfolds, Winnie faces an extraordinary choice: return to her life, or continue with the Tucks on their infinite journey. Based on the novel of the same name by Natalie Babbitt, Tuck Everlasting will make you think as much as feel and will sweep you away with its immense beauty. Our performance dates and times are below. See our Tuck Everlasting flyer for additional details, and please join us! Saturday, April 27 at 7:00 p.m.
Friday, May 3 at 7:00 p.m.
Parents, please contact Mr. Dexter, technology coordinator, for the login information to set up the parent access to PowerSchool. For more information, check out the PowerSchool Parent Portal guide. All HCIS students have memberships to the YMCA. To make this official, students need to fill out three forms. Two contain basic information and require a parent signature. The third form is for using the wellness center. The wellness center has treadmills, other machines, and weights. A doctor must sign this form if the student is under sixteen. Mr. Langr's physical education class uses this space. Any students who anticipate that they will take this class before they turn sixteen should get the form signed by a doctor. If your student is sixteen years old or above, he or she does not need the doctor's signature. Please see Ms. Hexum with additional questions about YMCA memberships! Students are required to fill out the two basic forms each year. The wellness center form stays on file in the wellness center.